The core of this army will be my Dark Age Welsh, Irish and Scots. I’ve already added a couple of Lurkers for them from their skirmishers. Other additions will be magicians and heroes. I’ll use fighters and perhaps some corpses to add to their bases. 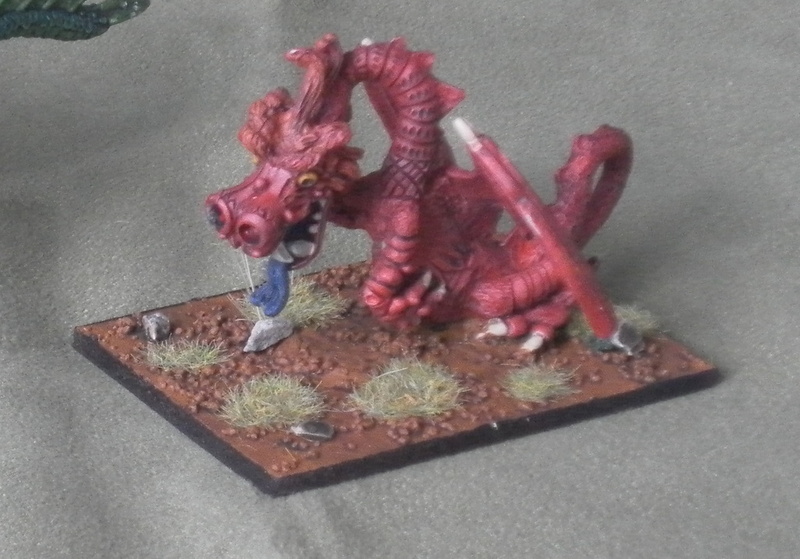 For now there is this dragon that is too friendly to be credibly evil. 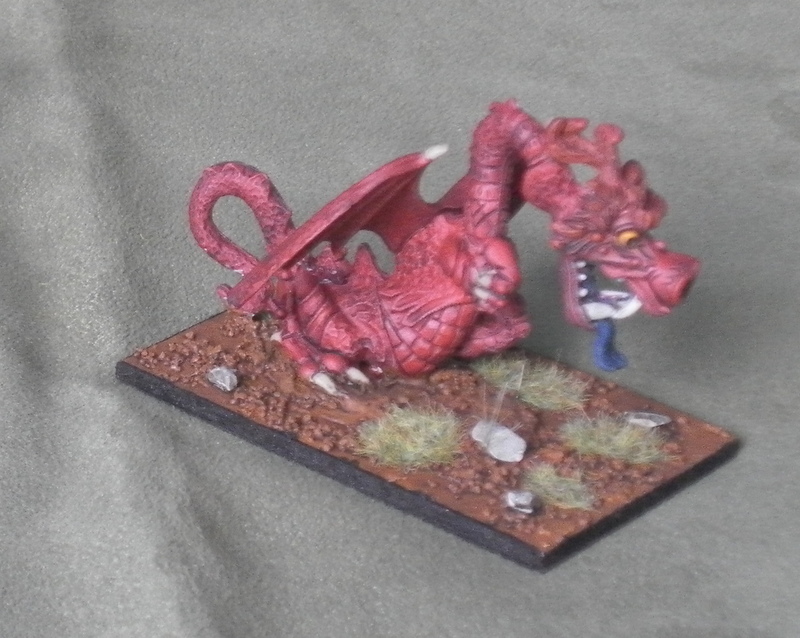 As the Welsh have a red dragon as their symbol he could be an ally of theirs.